The sugar scrubs you buy at the store can be quite expensive. The good thing is they are easy and cheap to make (see the simply recipe at the bottom of this article). But why should you use sugar scrubs in the first place? As you age, your skin cells don’t regenerate as fast as they used to, leaving your skin feeling dry. Exfoliating removes old cells allowing new ones to generate easier. As old cells build up on the surface of your body, this can clog your pores, leading to irritations and acne. Exfoliating often helps to prevent this. But why use sugar in your body scrub? 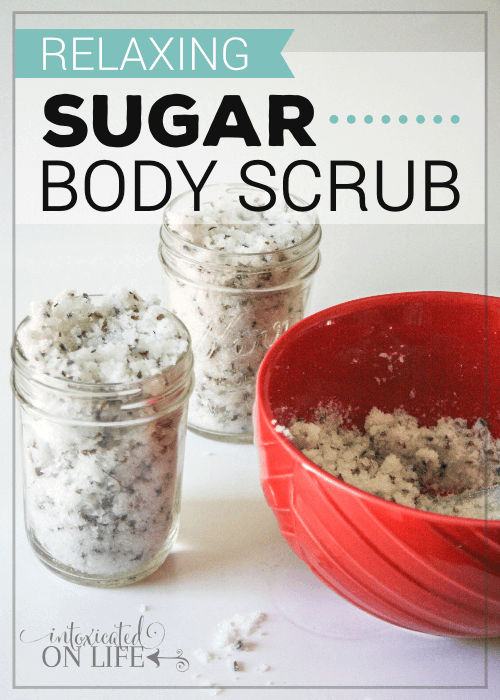 Sugar particles are smaller and thus less abrasive than salt, which is the exfoliant used in a lot of other scrubs. 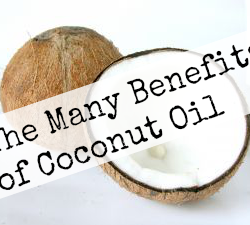 This is not only better for more sensitive skin, it avoids the microscopic tearing that salt can cause when used in a scrub. Sugar is better as an exfoliant because the glycolic acid in sugar breaks down the “glue” molecules that hold skin cells close together. This allows younger cells to form easier. Sugar scrubs hydrate your skin because sugar is a natural “humectant”—it draws moisture from the environment into your skin. 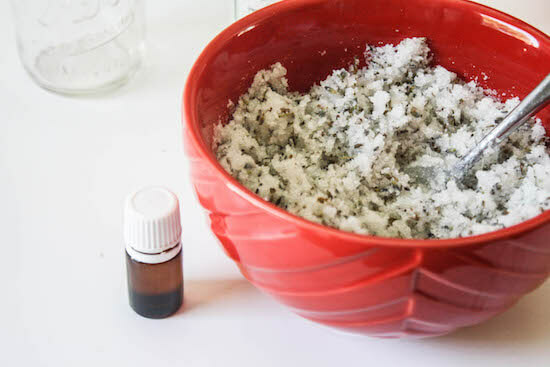 Salts scrubs, by contrast, can sap moisture from the skin. In a glass bowl mix all the ingredients together. The consistency should be moldable/sticky but not wet. If the mixture is too wet add in one tablespoon at a time until at the correct consistency. Portion out into glass jars. To use the scrub, make sure to apply to WET skin. Take out a small scoop with your hand and rub on your skin. 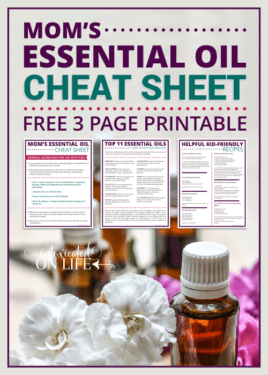 Click the link or image below to download the 3-page Mom’s Essential Oil Cheat Sheet. 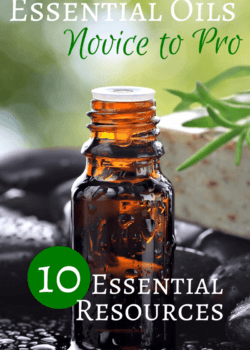 I’ll follow it up with more resources and free printables to help you on your essential oil journey. Grab your copy now! Do you love what you just read? Be sure to subscribe so we can send you free email updates and resources for raising strong families. When kids have headaches, earaches, sunburns, bug bites, bad coughs, and boo-boos, you prefer to skip the over-the-counter stuff and give them natural home remedies. But who has time to play Dr. Quinn? You do! 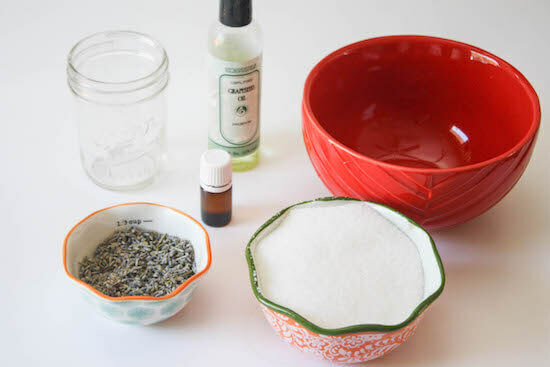 You can create a safe, easy-to-use essential oil first-response kit in less than an hour. You'll have a kit ready to use when you need it. This video guide contains easy-to-follow, step-by-step videos, giving you the information you need to create and confidently use your new first response kit. 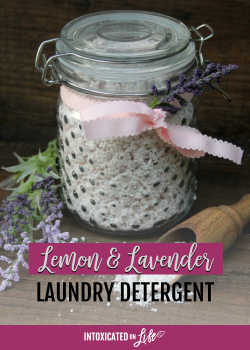 Make 8 family-tested formulas to stock your bathroom cabinet. 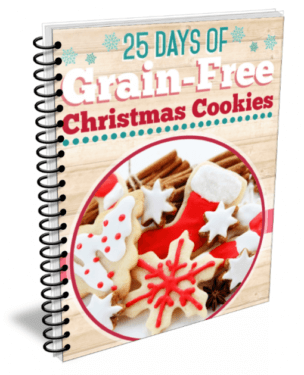 Includes the complete printable toolkit: formula pages, supply list, label templates, and a quick-use cheat sheet. Thanks for the info, Trisha. I’ve heard of sugar scrubs, but hadn’t read about their benefits over scrubs with salt. Thanks for sharing the recipe. Thanks for sharing! I didn’t know about the salt vs sugar either. You like the idea of using essential oils around the home, but do you know how to use them safely and effectively with your kids? 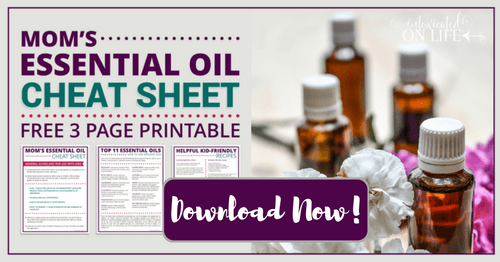 Download this free 3-page cheat sheet for moms and learn how to safely dilute oils, the top 11 essential oils to use with kids (and why), and several kid-friendly recipes to use around the house! We're Luke and Trisha and we believe you can honor God in all areas of your family’s life—nurturing your children's bodies, cultivating their minds, and inspiring their souls.